As you might know, I'm a big fan of boxing. I started about 2.5 years ago and I haven't stopped ever since. I'm generally not good at many sports and I'm not a big fan of group classes, but with boxing, I feel like I've finally found something I'm both good at and get to do in a group. It's challenging, fun and one of the best workouts I know! 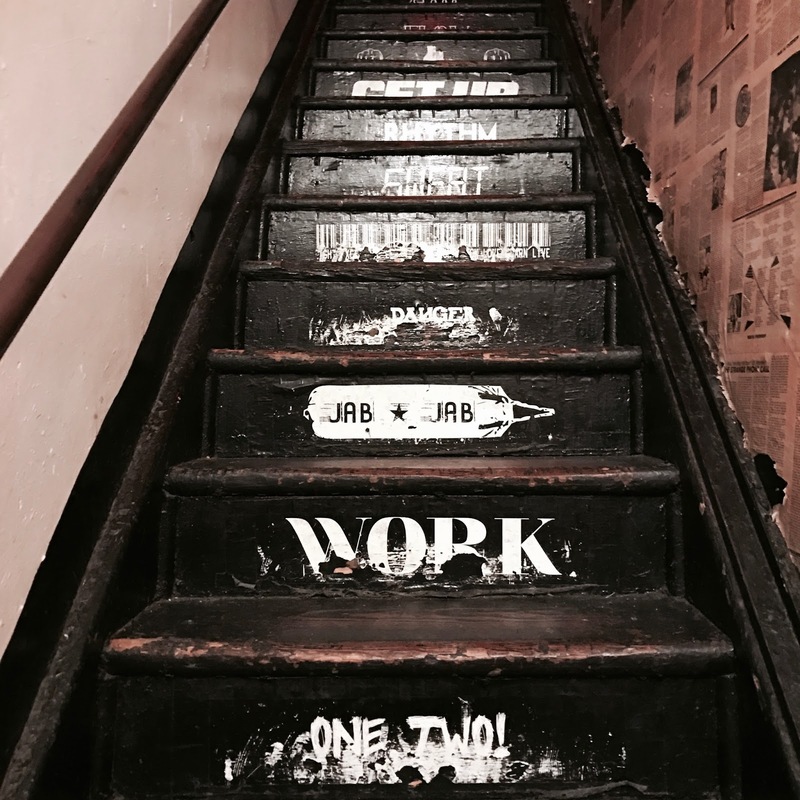 New York has a lot to offer when it comes to boxing so I decided to try a few boxing gyms through Classpass. First up is Overthrow! 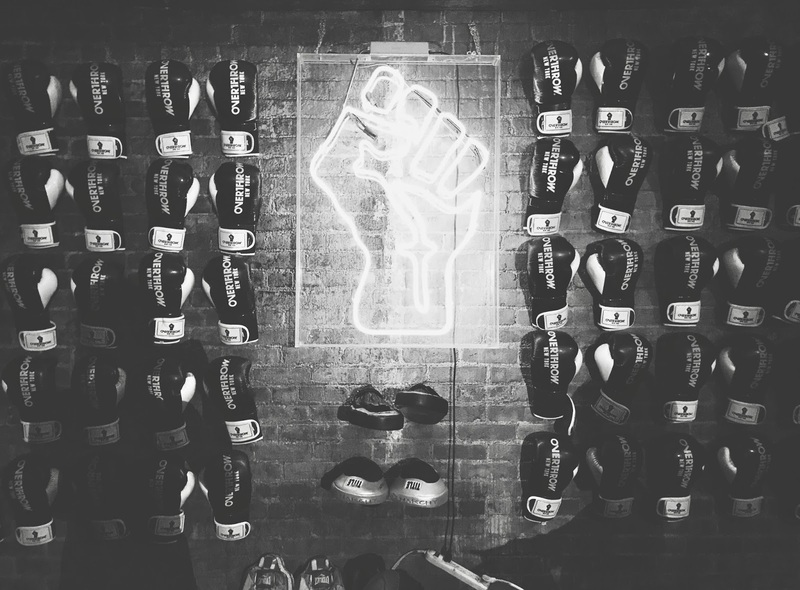 Overthrow is a tiny boxing gym on Bleecker St. 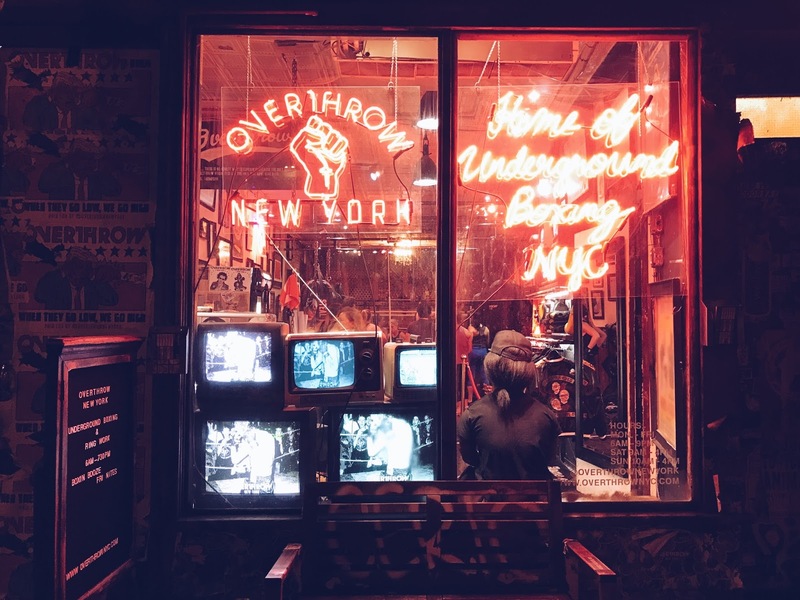 I only discovered this place because I walked past it, and the bright neon red signs caught my attention. They really nailed that grungy, old school underground boxing feel. 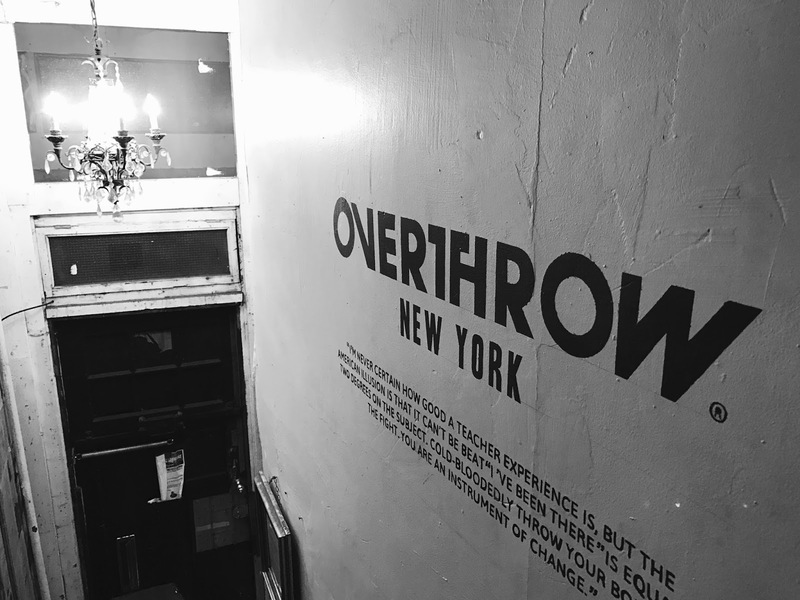 I got a Classpass membership ("new kind of gym membership that grants you access to thousands of different classes at studios and gyms in your city and around the world") so I immediately booked my first class at Overthrow. 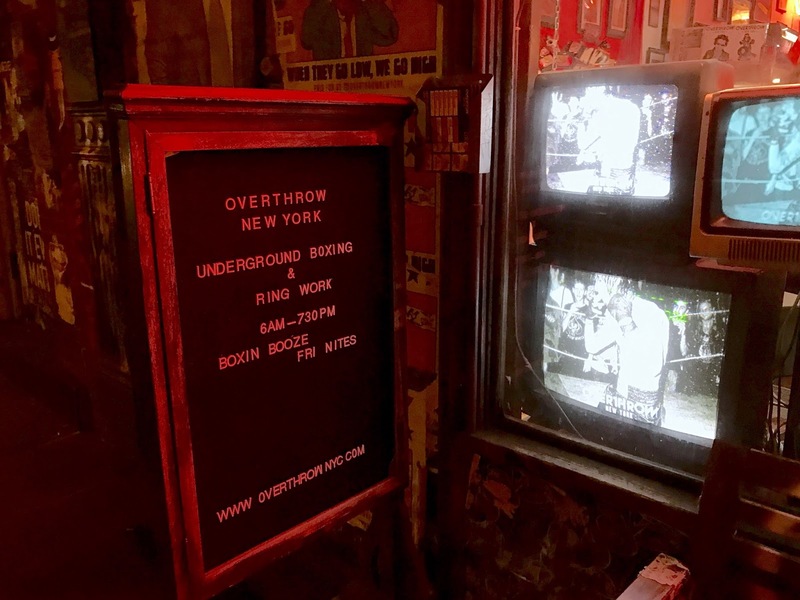 Overthrow has one boxing ring on the ground floor and another space in the basement. Upstairs you have the changing rooms and showers (including Malin+Goetz products!) Because it's such a small place, it feels very intimate and everyone who works here is super friendly and helpful, a big plus! Although 45 minutes sounded really short to me, I must admit that during both classes I was counting down the minutes until it was over. Not because it wasn't fun, but because it was so intense. 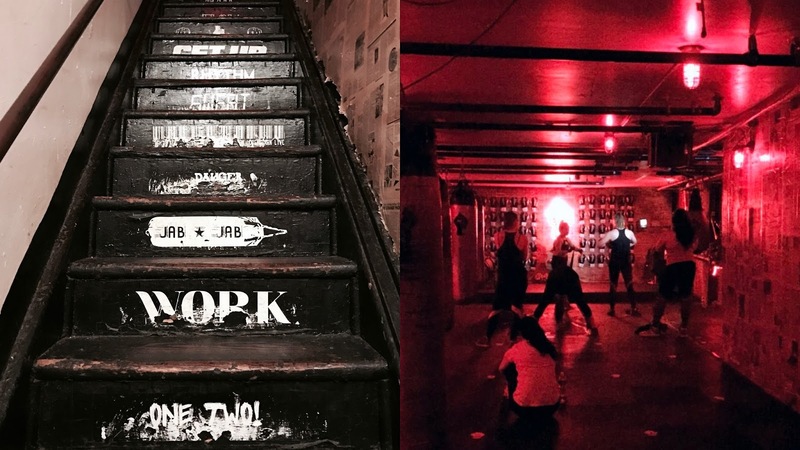 I prefer the ringwork class because it involves more boxing technique, while the Underground feels more like a HIIT workout. But both are really great workouts, very challenging but rewarding. I left both classes super sweaty and tired. Exactly how you need to feel after a good workout! Overall, I love the vibe at Overthrow. The instructors are great, everyone's friendly, the workouts are very effective and the gym itself is really cool. A membership and individual classes are expensive but if you go through Classpass like I do, it's cheaper. Either way, if you like boxing or you're looking for a good workout, I can highly recommend Overthrow!